I don’t know about you, but being able to go on an African safari is high on my priority list. Seriously. But with all the tours available, and the sheer size of the continent, I wouldn’t even know where to start to plan such an adventure. Luckily, there’s SafariBookings to make our safari-finding lives easier. SafariBookings is the first online marketplace where safari operators can offer their tours all in one place, making it easy and convenient for Africa holiday-makers. The site already has over 60 safari operators offering 120 tours, and growing. Safari Bookings hopes that by the end of 2013, over 60% of all major safari operators will be featured on their site with at least 500 tours to offer. That’s a lot of close encounters of the animal kind for folks who would like to go on an African safari. 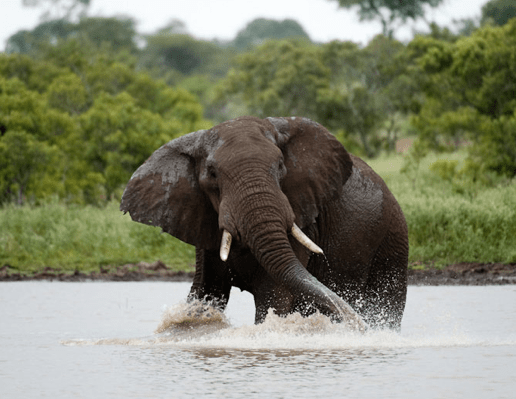 Apart from the many safari operators and tours on offer, the site already has 2,200 user reviews written by people from over 50 nationalities around the world. The site even has 750 expert reviews from reputable travel writers for publications like Lonely Planet, Rough Guide, Footprint, etc. Basically, my dream job. Reviews are based on start ratings that include wildlife, scenic beauty, birding and something called the bush vibe. Head out of the gutter, it’s a rating based on tourism and park attributes. SafariBookings has over 1,000 high quality editorial pages that cover 8 major safari countries and 140 parks (with content for the parks of Botswana, Kenya, Namibia and Zambia coming soon). Don’t know what the 8 major safari countries are? Check out the explainer video here that is sure to get you inspired. And, what would any travel site be without gorgeous photos? SafariBookings have got those too, with over 3,500 photos from some of the best wildlife photographers including Michael Poliza, Ariadne van Zandbergen and Heinrich van de Berg. SafariBookings is an amazing site to get started on your African safari planning. It’s comprehensive, inspiring, and even educational. I’ve just spend the last 20 minutes learning about the 8 safari countries (and dreaming of my next adventure). Did you know Tanzania has the best chimp tracking in Africa? Or, that “The Big Five” are lions, African elephants, Cape buffalo, leopards, and rhinoceros and all can be found in South Africa? No? Well, now you know. I suggest you go learn more about Africa and book your next safari on SafariBookings too!